In an area of ​​1.2m x 1.5m, you can do 80% of the exercises (and that’s quite a few). The wall should be 2.12 meters high. 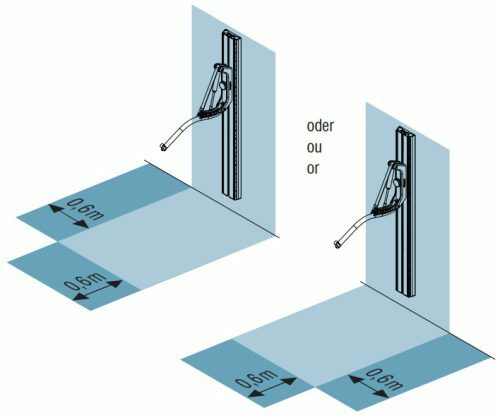 Depending on the circumstances, the device can also be mounted on a wall with a ceiling height of a minimum of 1.9 meters. If possible, choose a place where you feel comfortable or like to spend your time. This is the most important requirement for regular training. 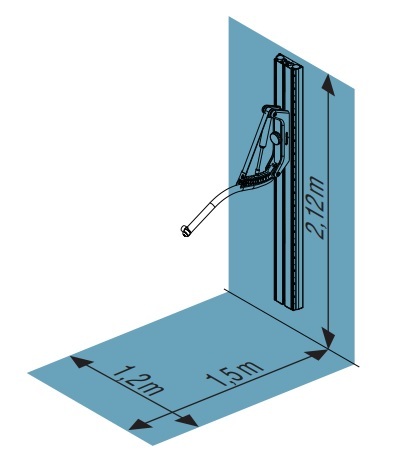 For ideal training we recommend an additional space of 60 cm on either the left or right side. For certain suspension training exercises 60cm extra space forward may be needed.